It has been one year since the events of Tales of Xillia turned the lives of Jude Mathis and Milla Maxwell upside down. They saved the world from the Schism and tensions are high between the newly linked factions of Rieze Maxia and Elympios. Enter Ludger Will Kresnik, a man who just failed his test to become an elite agent in the Spirius Corporation. His judge was none other than his own brother, who he currently leeches off of in their small apartment. Ludger obtains a steady job, but that’s thrown on the back burner after a terrorist invasion takes down the train station in his city. He stumbles on a girl named Elle and hero turned Scientist Jude Mathis, and they discover that his brother is the conspirator behind the terrorist acts. Now if you think that’s bad luck, he’s injured in the destruction and obtains a debt of 20 million Gald. To make matters worse, he’s labeled as a co-conspirator in the terrorism due to his relation with his brother Julius. Ludger, Elle, and Jude must pay down his crippling debt, while leading the search to find and capture his brother Julius, or Ludger can find himself behind bars instead. I love the idea of the story in Xillia 2 because it doesn’t make it immediately about saving the world. Sure Ludger has to chase down his brother, and for some reason he turns into a Guyver reject, but he’s just a down on his luck schmoe in the long run. The big change is the Bioware-esque formula provided to every conversation. Ludger doesn’t actually speak much in the game, and like most classic RPG’s he’s a silent protagonist with a blank stare. Usually in games where the protagonists says nothing, there would be little to no input from the player regarding any of dialogue. 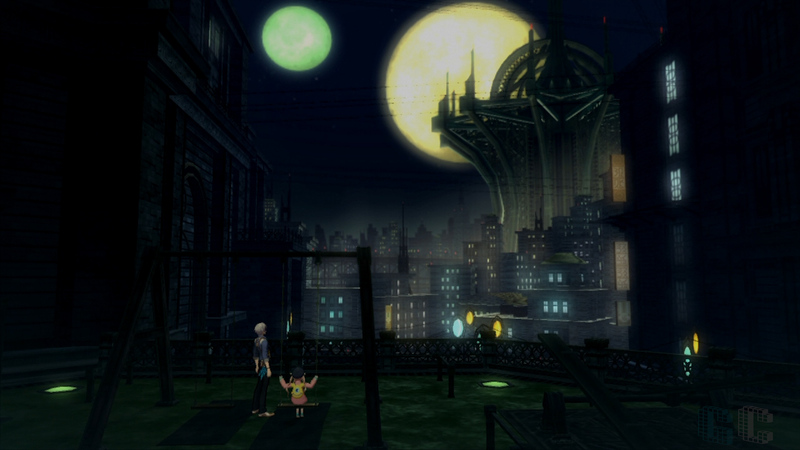 In Xillia 2, the player makes all of the decisions regarding Ludger’s actions. Be it in casual conversations, or timing based action sequences that could change an entire way a scene plays out. Making decisions can alter the way that Ludger proceeds through the story. He can also use it to influence his comrades into gaining an affinity with him. It gives us a lot more of a stake in the world of Xillia 2, as we try to understand where these choices will take us in the saga. Players can also become invested in side-missions that lead into different story missions for each of the companions. You can find out how Jude became the leader of a laboratory for spyrite research, or how Alvin went from a dashing gunslinger to a grizzled fruit merchant. Ultimately, the title is much better if you’ve played the first Tales of Xillia. Ludger is a middle-man to the conversations of the heroes from the previous game. He gets pulled into their squabbles and camaraderie at will. He’s an outsider in this troupe of best friends, and he has to gain acceptance in their group by helping them with their issues. It’s a hint of nostalgia that bodes well for a sequel, but newcomers will be completely bewildered by most of it. The story is quite interesting but the gameplay contains a similar feel to the last game with some enhancements. The Lillium Orb is no more, and in its place is a much simpler system called the Allium Orb. Players will switch between orbs and collect elements to earn enough SP to learn new abilities and Artes. Players are still able to complete side-quests from bulletin boards scattered across the world. They can be completed by finding certain resources, making deliveries, or defeating a select amount of monsters. Some missions require beating gigantic beasts, or using the new fetch system named Kitty Dispatch. Ludger and his pals will have to find random cats spread out through the world and use them as tools to gather rare materials. Some items can only be discovered by using the Kitty Dispatch system, and the more cats in the army – the easier it is to find the various materials to complete quests. The major change comes in the form of the debt system that Ludger must pay into. A woman named Nova will appear on screen and ask him to make a payment, and with a certain amount of payments he will receive rewards and unlock train station locations. Gone are the days of using resources to build reputations with shops to upgrade their catalogue. Now resources are used to purchase custom items from stores across the world. Ludger and his friends can find unique items and weapons to use in their journey. Last but not least on the change list is the ability to dash about after reaching chapter five. Players are no longer victims to long boring strolls through the vast open lands of Xillia, and they can still quick travel to places via the world map. Combat in Tales games becomes more refined with each addition. Its action oriented but still focuses on stat based combat. Ludger is much different from the other Tales protagonists due to his aptitude with three weapons at a time. He can swap between Dual-Pistols, Dual-Swords, and a large Sledgehammer for laying down his foes. Changing weapons is important in battle, as some enemies are weaker to a certain type than others. 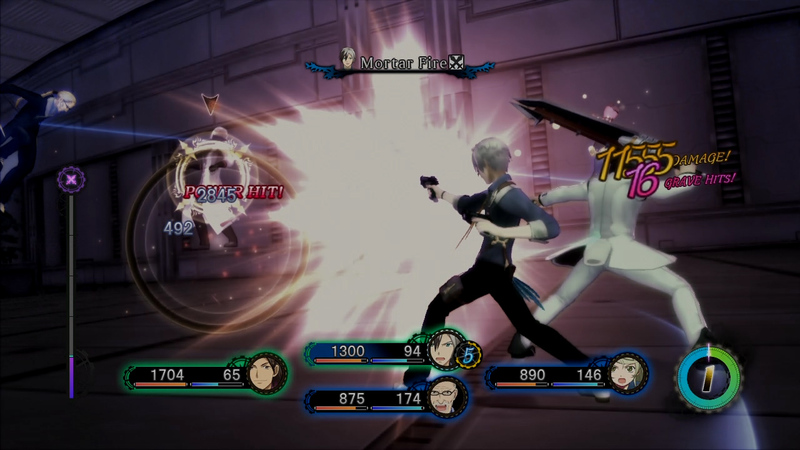 Three different weapon types gives Ludger a wide arrange of Artes to perform, but players can still switch between party members if need be. Ludger has the ability to transform and shift time to become an incredibly powerful being for a limited period. During this time shift he will fight alone and perform destructive abilities without limit. Linking with other party members is still an important part of Xillia. Each partner has a specific move-set that will help in battle, and team-up Artes are more devastating than single Artes. Combat is simple and fun but also contains a lot of complicated status effects that most players won’t notice. It’s a Tales series staple by now and it’s still as fun and frantic as ever. Visually this title is exactly the same as the original Tales of Xillia and most of the Tales titles on PS3. It has that cartoon polished early PS3 look, and doesn’t necessarily push the boundaries of the hardware. The environments are a complete retread from the first game, I caught wind of the déjà vu a bit too early on in the process and found myself charging through to different zones. The cast from the previous title returns and they sound fantastic, even some of the gripes I had with characters like Milla have been solved in their One Year Later portrayals. Despite the repetitious environments, I have some more disappointing news regarding the debt situation. In a way to keep players from becoming misers, when the player reaches a certain cash point in the story… Nova will appear and ask for a debt payment. Ludger must pay this regardless of where he is or what he’s doing. At first it was an interesting mechanic, but you later learn that it’s just an annoying way to keep your pockets from overflowing and that’s awful. I’m also not in love with the new costume designs for the older characters. Jude has some acceptable attire, but everyone else looks like they are trying too hard to be hip. It’s not awful or anything, I just don’t really like the clothing design clash. Ludger looks to be wearing his cool 1940’s detective costume, and everyone else is splashed in random modern clothing. What pisses me off the most is Leia’s costume, it is the absolute worst of the bunch. Just take of that stupid hat right now, never place it on your head ever again! Ahem, regardless of my gripes with the fashion of the game. I had a great time as a fan of the previous title in the series. The storyline actually touches on something that would be familiar to people who’ve been reading Marvel’s recent New Avenger series. That’s as spoiler filled as I’ll be in this review, you can do the research for yourself… or play the game. 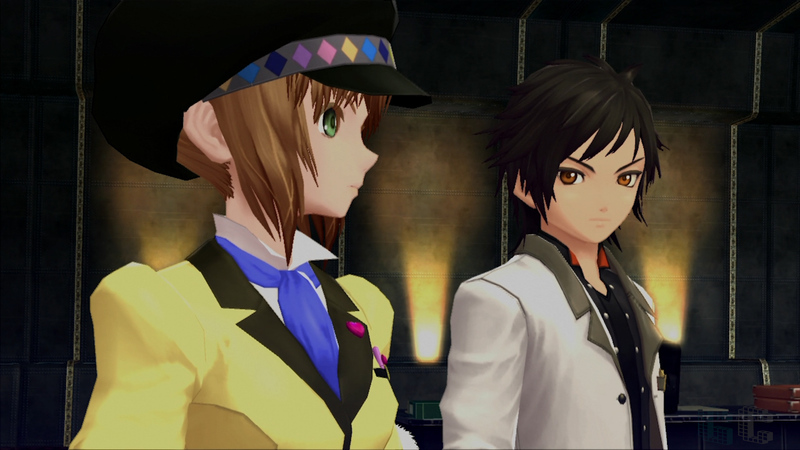 Tales of Xillia 2 receives a “Do play” if you’ve played the first Tales of Xillia title. If you haven’t, it is probably better to play the first game first or you won’t get the same effect. Despite the game being a rehash in design, it makes up for it with engrossing characters, choice filled storyline, and a high-octane combat system.